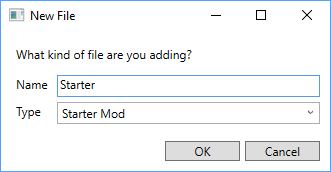 Starter mod is not working fully and makes crash the rom editor before it finishes loading. Can you help on this? Could you answer the following questions so I can further diagnose the issue? Are there any error messages shown when it crashes? Is it crashing when you create the project (step 2), or when you build the project (step 7)? What version of Windows are you using? Also, is it 32 or 64 bit? How much free RAM do you have on your computer? In addition to I tried in administrator and temporaly shut my antiviruses because it flagged it as a malware but it still didn't worked. A bunch of other folders named after Pokemon, such as "aabo", "aaboku", "aaken", etc. Chances are that if one of these is missing, everything after it in the list is also missing. 1: Raw files folder is present. 2: Languages folder is present with other folders. Looks like it's mostly done at that point. But don't worry; we're making progress. 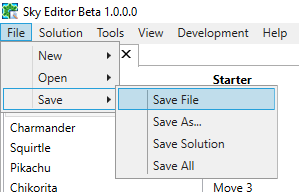 Using it, please do everything you previously did (you can open the solution instead of creating a new one, to save time and disk space), and when it crashes, check the project directory to see if there's a file called "status.txt" that should be right next to fixed_pokemon.bin. If there is, please upload it and/or post what's in it. I blame the issue on EveryFileExplorer's texture code that I incorporated into Sky Editor. 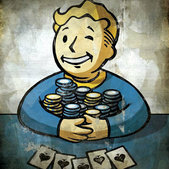 Hi, thanks for this great mod ! I Just have a question : when i start my game, the game simply don't ask me my name. As a consequence, my starter name's is the same as the pokemon specie (Smeargle, in my case). is that normal ? Did i missed something to edit the name ? Yeah, that's normal for now. I hope to take another look at it in the future, but once you progress a little, you can rename your characters from the main menu. Yep I had this too, but we can rename the characters from the main menu when your partner is availible for exploration in the game. Oh, i forgot that i could change names later... Anyway, thank you for this quick answer and for doing such an awesome work ! 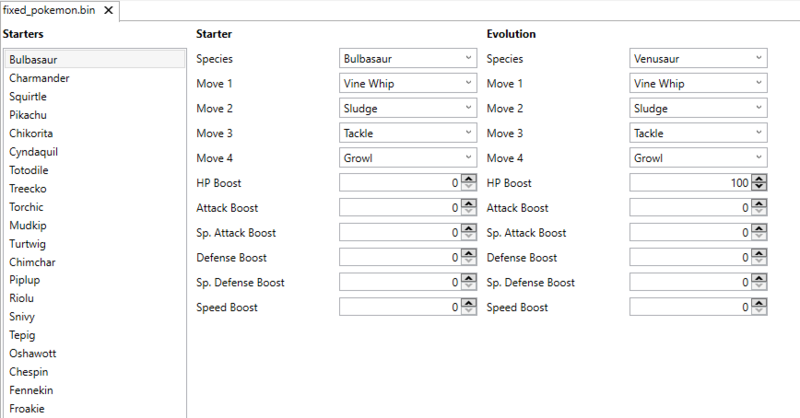 I wonder what would happen if I choose an evolved Pokemon as a starter? Would the scarf scene be bugged or will the same Pokemon appear in the cutscene? Depends on your choice on the evolved Pokemon, for me I chose Mega Manectric for base and for evolution, so he won't change. Another thing is when you get petrified by Nuzleaf, you can see the base Pokemon as a stone statue (exemple Charmander), not the Pokemon that you have but it doesn't matter since you keep the modified Pokemon. Thanks for the quick clarification! Oh, would you mind another question? 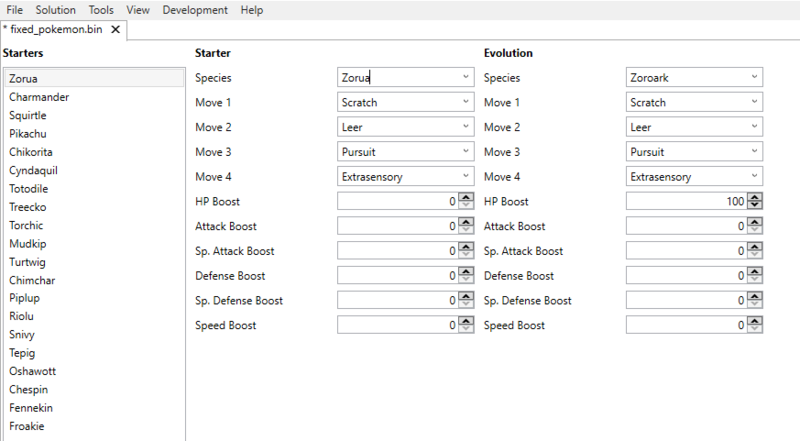 While it is possible to set any Pokemon as starter and evolution, if one were to set completely unrelated Pokemon, or different forms of the same Pokemon... Would the game crash or something like that. I wonder if anyone has tested it out. I've never tested that but I think there wouldn't be trouble since it's an "evolution"
There is a link in the above comments by evandixon, just click it and then login as guest to download. Wol38: thank you again for the info! Here is the comment with the link.